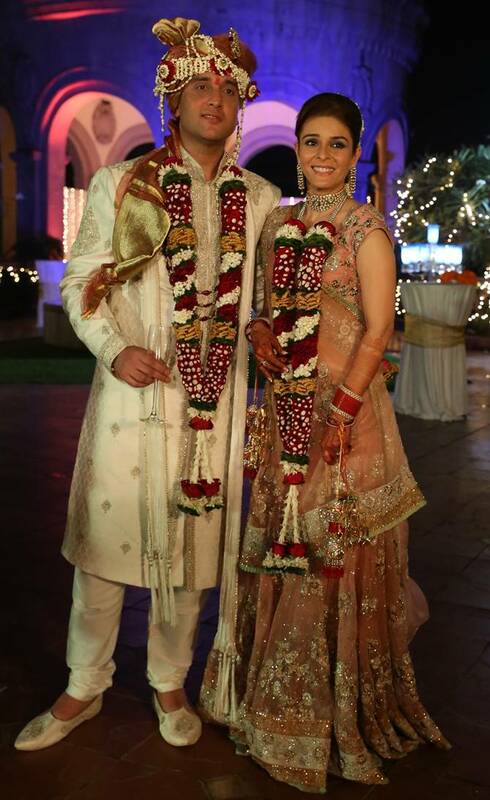 Singer-actress and former VJ Raageshwari Loomba got married to London-based lawyer Sudhanshu Swaroop on January 27 in Mumbai. 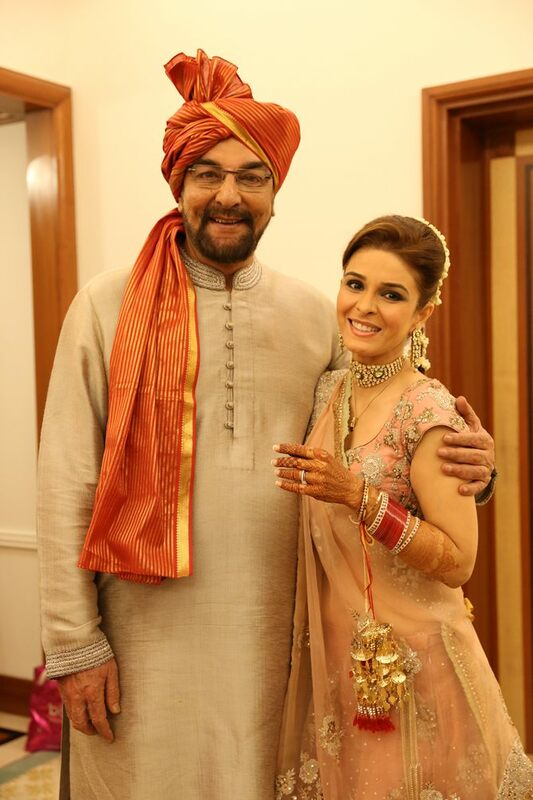 Wearing a peach organza lehenga for her traditional Indian wedding ceremony, a beaming Raageshwari posed for pictures with husband Sudhanshu Swaroop. The couple tied the knot in the presence of family and close friends -- some of who flew in from England, America, Scotland, Australia, Pakistan and Russia -- at midnight, according to Hindu tradition. Please click NEXT for more pictures. 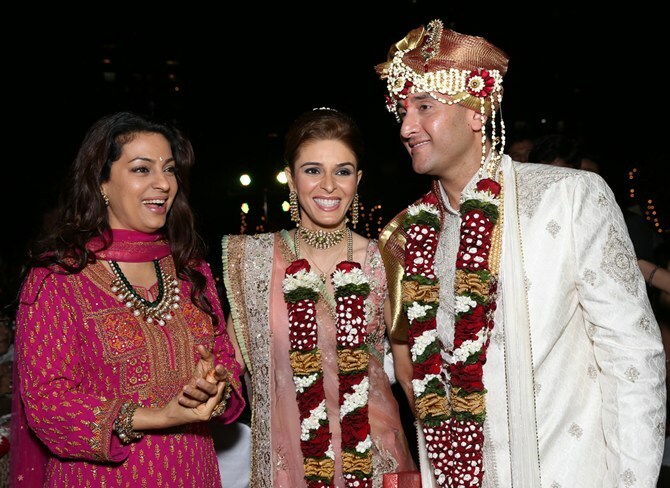 Actress Juhi Chawla, seen here greeting the newlyweds, was among the guests. 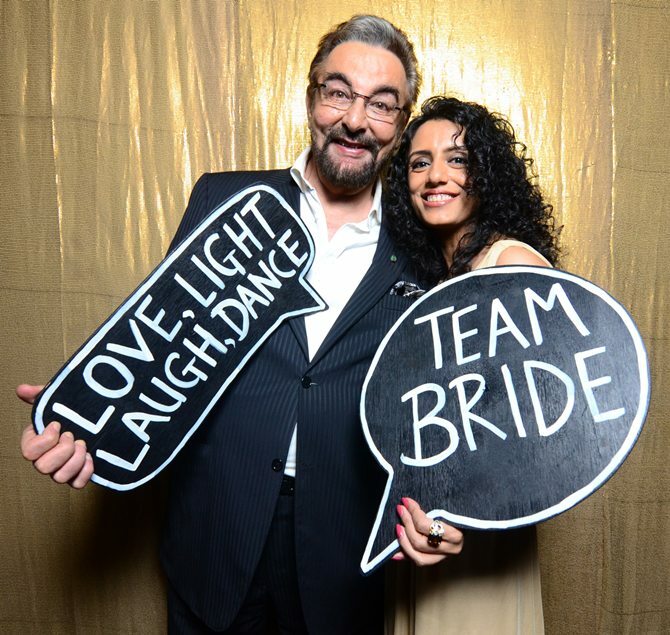 Veteran actor Kabir Bedi hugs the radiant bride. 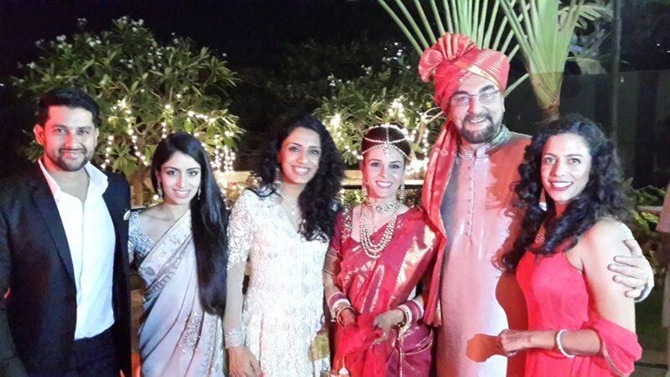 Raageshwari poses with Aftab Shivdasani and his fiancee Nin Dusanj, Kabir Bedi and his partner Parveen and a friend. Incidentally, Nin is Parveen's younger sister. The bride and groom pose for a picture with friends. 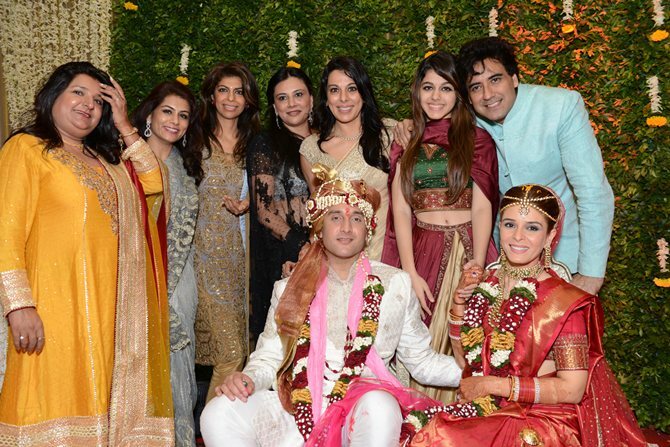 Actress Pooja Bedi (third from right) and singer-actor Karan Oberoi (in blue), photographed here. 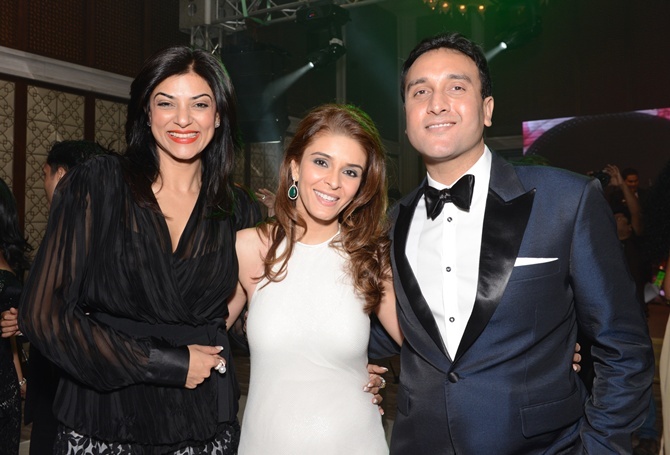 Sushmita Sen was spotted at the new couple's sangeet ceremony on January 25. 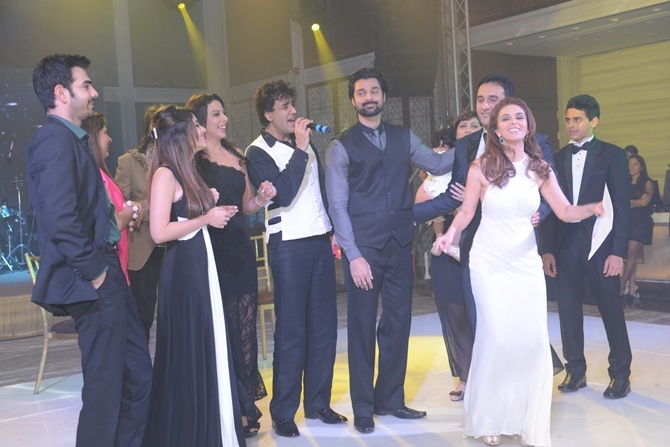 Held at the Four Seasons hotel in South Mumbai, the do featured a song and dance routine by the couple's friends. The couple dances at the sangeet ceremony. Bedi poses with Parveen in what looks like a makeshift photo booth at the sangeet. 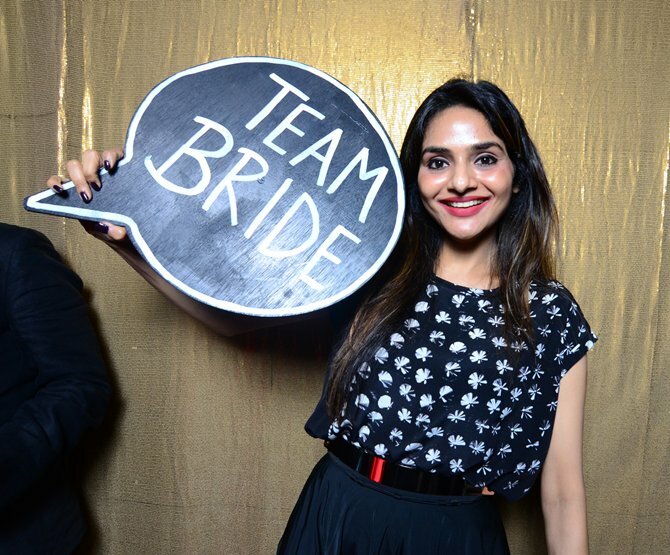 Actress Madhoo flaunts her team bride card. Choreographer Hanif Hilal (in grey shirt) was also at the sangeet ceremony. Priyanka Chopra's HOTTEST song? VOTE!